2002 Young Researcher Award of the Spanish Society of Biomedical Engineering. 2003 Orbimed Research Award of the Spanish Society of the Knee. 2005 Spanish ECCOMAS Association (SEMNI) Award for The Best Ph.D Thesis Of 2004 on Computational Methods In Applied Sciences and Engineering. 2015 Young Research Medal of Royal Society of Engineering. 2018. Patricia Hernández. Patient specific mechanobiology growth model of atherome plaque for carotid artery. 2018. Álvaro Tomás. Mechanical finite element analysis of of the influence of plaque and lipid core lengths on vulnerability of positive atheroma plaque morphologies . 2016. Ana Victoria Corral. Experiments and constitutive model for aorta and pulmonar artery. 2015. Marcos Murillo. Analysis of the geometry and boundary conditions in a pure and simple shear tests. 2015. Alejandra Pérez. Evaluation failure properties during migration of a retrievable filter. 2015. Guillermo Herrero. Effect of necrotic core length on risk of plaque rupture during positive arterial remodeling. 2015. David Ruiz-Alejos. Experiments and constitutive model for deep and superficial fascia. 2015. Patricia Hernández. Modeling arterial wall transport for Drug-Eluting Stents. 2014. Quercus Hernández. Failure properties due to deep penetration of vena cava tissue. 2014. Mónica Torres. Analysis of the geometry and boundary conditions in a uniaxial test. 2012. 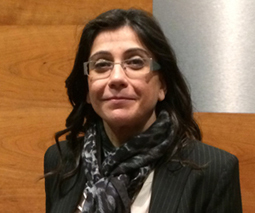 Raquel Simón. Analysis of the geometry and boundary conditions in a biaxial test. 2011. Beatriz Lucea. Numerical fluid modeling of antitrombotic filter. 2011. David Monterde. Microcalcification influence in atheroma plaque vulnerability. 2010. Olga Marcos. Mechanical damage in arteries after clamping. 2009. Natalia Espés. Mechanical properties of biodegradable polymers for cardiovascular applications. 2006. Santiago Aranda. Computational modeling of beating fetal heart. 2005. Rebeca López. Why Lateral Meniscectomies are more catastrophic than Medial Meniscectomies?. 2004. Victor Alastrué. Biomechanical modeling of the human cornea. 2003. Natalia Monterde. Finite Element Study of the ACL Reconstruction Surgery. 2003. Pablo Villanueva. Impact Biomechanics in Lower Limb. 2002. David Tello. Finite Element Study of the Role of Ligaments in Human Knee Joint Stability.